Sign up here for the 6th Annual Swinging for S.T.E.M. Golf Tournament to support the amazing students at Ford Elementary. 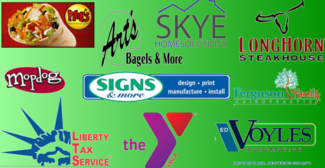 I want to thank our sponsors: Art's Bagels & More, YMCA, Ed Voyles, Signs & More, Longhorn Steakhouse Dallas Highway, Ferguson Family Chiropractic, Moe's Southwest Grill Cobb Parkway, Mopdog Creative + Strategy, Liberty Tax Service, and Skye Home Solutions. For those of you who are registering for our event, there are three ways to pay. Click on this link to pay now, send a check to Ford Elementary, or pay at the course the day of the event with cash, check, or credit. If you can’t attend or are not a golfer, there is a “ghost golfer” option on the payment link above where you can make a donation to the event.